27. 01. 2019 13:08 16 (10 - Latvala Jari-Matti / Anttila Miikka): It is a lot. But the feeling wasn't the same as I had last year. Everything is my fault, I made a mistake in the test and crashed and I built the car the wrong way. It is my mistake. 27. 01. 2019 11:55 15 (10 - Latvala Jari-Matti / Anttila Miikka): I've been trying hard, I can't go the speed Ott is going. The question now is how much Loeb can do. 27. 01. 2019 11:52 14 (10 - Latvala Jari-Matti / Anttila Miikka): Ott has been driving really well, he has been faster than me all the time. Today it seems the car is fine but it is me, I can't get the best feeling and the confidence isn't there. 27. 01. 2019 11:48 13 (10 - Latvala Jari-Matti / Anttila Miikka): I'm not having a good feeling with my driving. I have understeer, I am not confident and I am not driving well. I need to do something with my driving. 26. 01. 2019 14:55 12 (10 - Latvala Jari-Matti / Anttila Miikka): I tried to push, I tried to push as much as I can. I felt like I had a good run, but we still had a bit of understeer. Maybe I'm not so good driving with the mixed tyres. 26. 01. 2019 14:04 11 (10 - Latvala Jari-Matti / Anttila Miikka): This stage, I don't know why I can't get the best feeling on this stage. The grip level is changing a lot. The battle is fantastic. 26. 01. 2019 13:51 10 (10 - Latvala Jari-Matti / Anttila Miikka): It was a pretty good run. More slippy than I thought, I think the gravel crew came through before the sun came up. In the place where Elfyn went off it was very icy. It was nastier than I thought. 26. 01. 2019 13:41 9 (10 - Latvala Jari-Matti / Anttila Miikka): The feeling was pretty good, there were a lot of changes with the grip levels. These are the conditions for the set-up on my car. 25. 01. 2019 20:31 8 (10 - Latvala Jari-Matti / Anttila Miikka): We chose full snow tyres this stage, to try and make some difference. It will be exciting to see what is happening. 25. 01. 2019 16:29 7 (10 - Latvala Jari-Matti / Anttila Miikka): It is quite interesting, things are changing. I saw Ott in front of us and I was thinking 'I thought I saw a car' so that disturbed me a little bit. 25. 01. 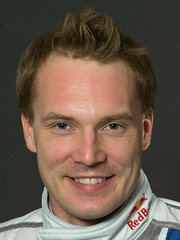 2019 14:59 6 (10 - Latvala Jari-Matti / Anttila Miikka): It was surprisingly good, we took all studs. We know we'll lose some on the next stages. 25. 01. 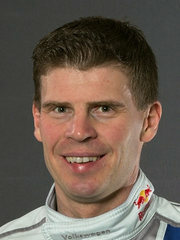 2019 13:18 5 (10 - Latvala Jari-Matti / Anttila Miikka): Finally it was a good run. Here I think we had the right tyre choice. This is the first time I had a relaxed feeling with the car and the notes from the guys were very good. 25. 01. 2019 13:07 4 (10 - Latvala Jari-Matti / Anttila Miikka): We made the tyre choice for the first stage this morning. Now we have very soft tyres and I think they are overheating, that's why I lost time. It was a nice stage but I didn't have the best feeling because I had to be very careful with the tyres. 24. 01. 2019 20:35 1 (10 - Latvala Jari-Matti / Anttila Miikka): Nothing special, I just went a bit soft with the car. I think the car was too soft in these conditions and the confidence isn't the best.